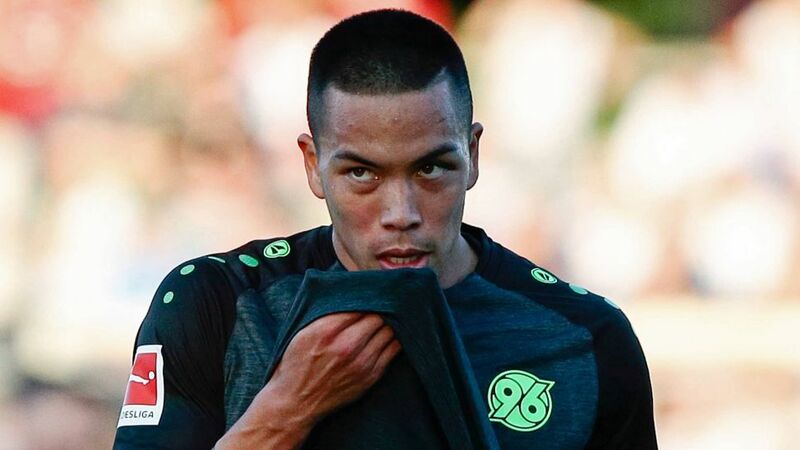 Bobby Wood scored one and missed a penalty on an eventful debut in the colours of new club Hannover on Saturday. Wood, who has joined the 96ers on a season-long loan from relegated Hamburg, played the entire second half of the pre-season friendly against regional side Havelse. Hannover were already comfortably ahead through first-half goals from Noah Sarenren Bazee, Timo Hübers and Niclas Füllkrug, when Wood entered the fray in place of Ihlas Bebou in the 46th minute. The USA international saw his 54th-minute penalty saved by Havelse goalkeeper Alexander Rehberg, but made amends in the 82nd minute, latching onto Mike Steven Bähre's pass and finishing calmly beyond Rehberg to put the icing on a routine 4-0 win. *Translation: Wood makes it 4-0 with his first Hannover goal. After an assist from Bähre, Wood races into the penalty box and sinks an ice-cold finish! It marks a new chapter in the career of Wood, who scored five Bundesliga goals in his debut season for Hamburg and struck just twice in 2017/18 as the Dinos were relegated from the Bundesliga for the first time. The Honolulu native previously netted 23 goals in 90 Bundesliga 2 appearances for 1860 Munich, Erzgebirge Aue and Union Berlin. He holds the single-season record for most goals by an American in either of Germany’s top two divisions (17 Bundesliga 2 goals for Union, 2015/16). Hannover have an option to sign Wood on a permanent deal when his loan comes to an end in summer 2019.